March 9, 2016 (Tierrasanta) - Spring has arrived in Southern California and the green season is here – so the San Diego County Democrats for Environmental Action is hosting its very first club outing and hike. What better way to enjoy the blooming benefit of this winter's El Niño rains than by taking a half-day hike in our backyard wilderness bounty, Mission Trails Regional Park? February 27, 2016 (San Diego) -- Join volunteer naturalist Don Endicott in the Visitor Center Theater at Mission Trails Regional Park on Saturday, Feb. 27 at 1 p.m. for a multi-media introduction to the natural history of the mountain lion, our region's seldom seen apex predator. His talk will describe the amazing attributes and signature behaviors of our big cats, show how relationships between mountain lions and people changed over time, and outline their key contributions to a healthy wilderness environment. January 17, 2016 (San Diego's East County) - Join naturalists, called Canyoneers, from the San Diego Natural History Museum, for a free guided walk in Oak Canyon in Mission Trails Regional Park on Sunday, January 24 starting at 9 a.m.
November 6, 2015 (Mission Trails) –Join San Diego City Councilmember Scott Sherman, County Supervisor Dianne Jacob, and La Mesa Councilmember Kristine Alessio on Saturday, November 7th at 10:00 a.m. at the East Kwaay Paay Trailhead, just west of Bushy Hill Drive and the Kumeyaay Lake Campground, on Father Junipero Serra Trail to officially launch Mission Trails Regional Park’s new 5-Peak Challenge program. The 5-Peak Challenge involves hiking to the summit of the five highest peaks in the park: Cowles Mountain (1,592’), Pyles Peak (1,579’), North Fortuna (1,291’), Kwaay Paay (1,194’) and South Fortuna (1,094’). Complete the challenge by hiking to the summit of all five peaks in any order and within your own timeframe. This will provide you the opportunity to discover all the less-visited areas of the park. After completing the 5-Peak Challenge, not only will you have seen San Diego from different perspectives, but you may also adopt your new favorite hiking trail along the way. July 13, 2015 (San Diego) – A mountain lion apparently protecting her cubs startled a pair of hikers Thursday night at Mission Trails Regional Park. He and his friend walked toward their car, when they saw eyes staring at them. Next, a full-grown mountain lion walked out of the bushes and across the road less than 30 feet from the hikers, before heading up to high ground. October 4, 2014 (Mission Trails) – Artworks by over 43 award-winning artists depicting nature will be on display at Mission Trails Regional Park Foundation’s annual Art in the Park event on October 11th from 6-9 p.m., including 125 works for sale. Art aficionados can also savor craft beers and premium wines, as well as hors d’hoeuvres, Rita’s Italian Ice and Xocai chocolates. In addition, guests can enjoy San Diego Native American flute music and Circa and Musa’s vibrational tones,.as well as astronomy viewing with telescopes provided by the San Diego Astronomy Association. KNSJ ANNIVERSARY PARTY AT MISSION TRAILS REGIONAL PARK JULY 5: COME CELEBRATE COMMUNITY RADIO! On Saturday July 5th, KNSJ invites you to our community radio station’s first anniversary from 6:30 to 10 p.m. at the beautiful Mission Trails Regional Park visitors center. Come mix and mingle with our radio hosts and celebrity guests in a spectacular natural setting, enjoy live music, Native American flute players, delicious food and drinks, stargazing, museum, no host bar, two stages with comedy acts and musical entertainment. Read more about KNSJ ANNIVERSARY PARTY AT MISSION TRAILS REGIONAL PARK JULY 5: COME CELEBRATE COMMUNITY RADIO! March 11, 2014 (San Diego's East County) - Through March 17, you can vote once every 24 hours to help the MTRP Foundation win up to $15,000 for a “Technology Makeover” for the 8 Rangers at MTRP. The MRC Company “Smart Technology Solutions” is the largest technology and services company in the San Diego area specializing in workflow solutions and office systems. They are currently running a contest to provide the winning 501 (c)(3) nonprofit corporation with up to a $15,000 technology upgrade for their office. The winner will be decided by the number of votes cast on-line through March 17. Here is the LINK to vote and you can vote once every 24 hours. Scroll down the right hand side of the webpage until you come to Mission Trails Regional Park (MTRP) Foundation and click the “Vote” button to help us win. The funds will be used to provide the 8 Rangers at MTRP with wifi connected tablets such as the Microsoft Surface Pro. November 9, 2013 (San Diego’s East County) – Arbor Day in Mission Trails is being celebrated at the Equestrian Staging area on Saturday, December 7, 2013, 9:00 a.m. The public is invited to take part in the donation and/or planting of oak trees. Volunteers may help with the planting - or act as cheerleaders. Volunteers are also needed to pull weeds and help with general landscape maintenance of the area. Some shovels will be available, but Mission Trails says it would be helpful if you could bring your own. Gloves and comfortable shoes are recommended. To make a donation, please complete and mail the Arbor Day Donation Form. March 6, 2013 - Last week I did back to back hikes in Missions Trails Regional Park. I was treated with three Mule Deer on the trail—a great sight! I have only seen deer at Mission Trails once before and that was after the Cedar fires of 2003. It was on my way back from North Mt. Fortuna that I spotted the trio of deer. They were not as skittish as I thought they might be and I was able to watch them and take photos for at least three or four minutes. July 25, 2012 (Santee) – San Diego’s Planning Commission voted last week against rezoning open space near Mission Trails Regional Park to install a gas-fired power plant. But the decision can be appealed at City Council. Residents in Santee and San Diego have voiced strong opposition to the Quail Brush power plant on the site bordering both communities. To help with declaring energy independence, a free San Diego Solar Program informational solar luncheon is being hosted for East County residents on Saturday, August 4, at 11 a.m. at Santee City Hall, Civic Building #7 (10601 Magnolia Ave, Santee, CA 92071). July 19, 2012 (San Diego) At 9 a.m. today, the San Diego Planning Commission will hold an important vote to determine whether to rezone open space to industrial land in order to allow a proposed natural gas-fired power plant to be built next to Mission Trails Regional Park. 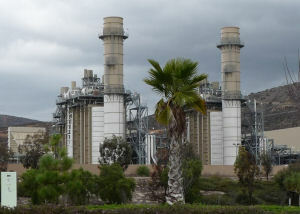 June 30, 2012 (San Diego’s East County) – A new website, www.savemissiontrails.org, has been launched to oppose the Quail Brush Generation Power Plant. The group asks the public to send e-mails to decision makers and attend two key upcoming meetings, both on July 19.